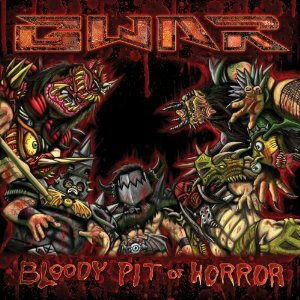 GWAR “BLOODY PIT OF HORROR” – Releases November 9, 2010! Album Artwork & Complete Track Listing! GWAR – In the midst of their two year long celebration of their 25th Anniversary – Slay – A – Bration, GWAR will be having their 13th studio album released on November 9, 2010. (I’m including in their “13” studio albums the 1992 EP – The Road Behind, hell, it has seven songs on it for Metal sakes and it counts). Bloody Pit Of Horror is the new studio album of 11 songs, releasing on Metal Blade Records. It is always comforting to know, that GWAR is lurking around the galaxy and giving us Metalheads on Earth another brand new album to annihilate our eardrums with… just 9 days after Halloween too. 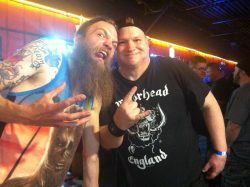 * On October 28, 2010, GWAR will be performing on Late Night With Jimmy Fallon! !